This week I attended a launch meeting of the Delta Teacher Efficacy Campaign, a collaboration aimed at enhancing student academic achievement by focusing on helping educators. I ended up arriving half way through, but made it in time for the Q & A session. The panelists were Valarie Wilson, head of GA School Board Association; Tyler Barr – head of GA PTA, and Dr. Beasley who is a DeKalb Schools administrator. Interestingly, the Opportunity School District legislation was a hot topic. It was the first question asked of the panelists. Valarie Wilson stated on behalf of the GA School Board Association that they oppose OSD in part because it doesn’t state how they are going to help the schools get better and its all about money and procedure. They asked how many people knew about OSD and only a few hands raised. They kept encouraging folks to read the legislation. She spoke about how they were working to get schools of the OSD eligibility list. I keep asking “Why did we need to have this proposed legislation to start working on things those schools needed to be done?” and now I am thinking, are we going to stop helping those schools get better after they “get off the list”? She said that the schools aren’t really failing and its just a scare tactic for shock value to push the legislation. Hmm, that’s a first one I’ve heard. What would you consider failing Ms. Wilson? I think the district clearly has enough problems that failing might be the right way to characterize. Besides, when you don’t admit to what’s wrong with the schools, we also aren’t fixing them. At the end of the forum I asked two questions: Why now, to help those schools “get off the list,” and if you are such an advocate of equity of school funding – why are you against OSD? Valarie claims that the work was being done already and that this is just a formal way of recognizing it. She didn’t answer my equity question but did go on to talk about how more affluent communities should be more accepting of funds flowing from their communities to the more at risk communities. However, using school funds to give to state determined failing schools to make them better isn’t the exact same thing??? Beasley said that the Governor doesn’t have any interest in helping our schools and they we, the community and school department have the ability to help our schools. So….WHY haven’t you been doing it?? I have yet to find a legitimate reason not to go forward with the OSD. I’ve always wondered how teacher pay scales started and were implemented. I understood that with a teacher’s union contract it is all laid out in the contract. But in states where there is no official union and it is a right to work state, I’ve often wondered how teacher pay scales got involved. As it turns out, these teacher pay scales have usually been entered as a law through the state legislature and the contract process is somewhat unnecessary. Here in GA teachers are paid by number of years on the job and educational level of attainment. That’s all. This generally creates an uneven balance where veteran teachers are making a lot of money while newer teachers are making much less. Quality of teaching has nothing to do with the pay. Under the current system, in place for decades, teachers are paid based on their years on the job and their education level. Their salaries rise according to a fixed state schedule that specifies minimum pay, though some districts pay above that. Deal wants to free up money so teachers can be paid more if they perform better or if they are teaching subjects — science, math — in which there is high demand for their talents. But Deal also doesn’t want a formula that costs more, and the money for high performers would have to come from somewhere, like lower-performing teachers. It sounds like the process will be a slow one IF implemented at all, because the new salaries are only effective to new teachers and those who opt into this system. Some suggest that it may not help with recruitment and retention, if the teachers feel the system isn’t working on their behalf. But the Governor wants us to be able to take some of the money from an ineffective tenured teacher and provide it to a newer teacher who is performing at the proficient and exemplary stage. This new proposal is only in the incubation stage and far from being enacted into policy. It would have to win approval of the General Assembly, and before that it would have to emerge as a formal recommendation from Deal’s Education Reform Commission. Next, officials will calculate the effect on each district, which could alter the debate. Also important is the reaction of teachers, whom Georgia is working to recruit and retain. (One of the commission’s other subcommittee’s is tasked with figuring out how to do that better.) Hames and other officials have said current teachers will be grandfathered under the current pay structure if they choose, but they acknowledge the state can’t make an ironclad promise. While this is not perfect, and is nowhere near ready to be implemented, I think it is a good conversation to have. We need to have more incentives and opportunities for newer teachers who may be as good or better than some of our veteran teachers. I have seen plenty of veteran teachers who aren’t effective in today’s environment and we need the tools to make appropriate adjustments. This shouldn’t be seen as an “attack” on teachers – it’s about making sure ALL of our kids have an effective teacher. Our public schools are not an employment agency, we need to make sure our kids receive a high quality education. They need to be able to grow into productive members of society, because right now too many are not. As an organizer for Stand for Children MA, I was keenly aware of the how the state funds its schools. Basically there is a school funding formula that says each district needs x to run its schools. Well the state figures out how much the district or city/town has to meet that amount and the state fills in the rest. So a district like Worcester is something like 70% state funded and 30% locally funded. Municipalities with more money to spend overspend their share allowing for more resources in schools. When I moved to Atlanta, I asked how DeKalb County was funded. I assumed it was more like MA, because its all I knew. Well DeKalb county is more like 70% county and 30% state. Almost a total flip. No wonder they have no money for their schools, the legislature won’t fund them. The proof is in the numbers. The report ranks states according to state and local dollars spent on education in 2011-2012. Not surprisingly, the top 10 states are largely in the Northeast and outperform Georgia academically. Georgia ranked 34th in state and local dollars going to schools, investing $9,402 per pupil on average. 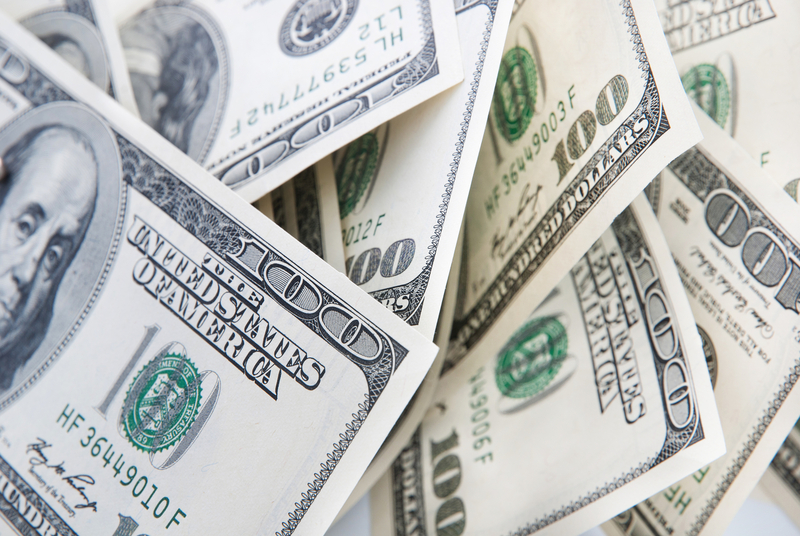 New York invested the most in education, spending $20,812 per pupil. I wrote in this previous post that I feel teacher union membership and dues should be voluntary and that the auto-deduction of union dues from teacher salaries gives me the perception that the district is paying the union to negotiate contracts. I also find it unfair that even when teachers opt out of union membership, they still are forced to pay through auto-deduction the near equivalent of union dues 60-70% of the whole dues as an “agency fee” for the collective bargaining services. 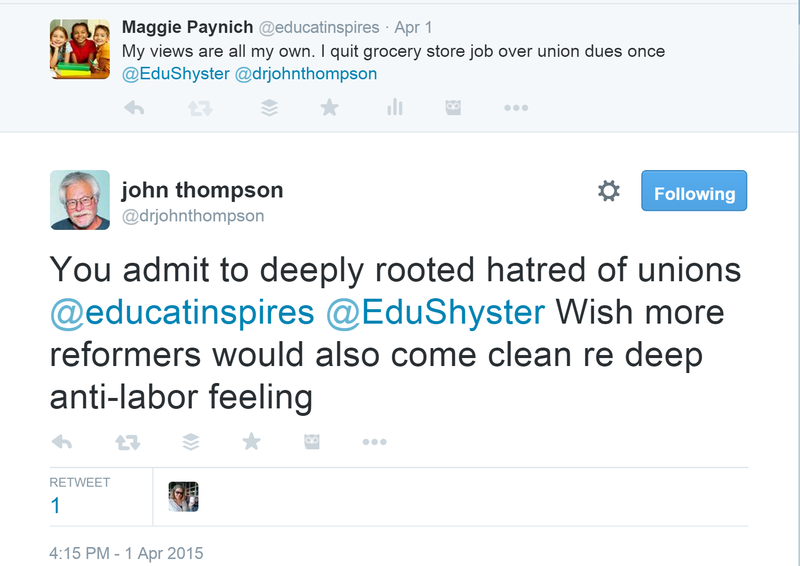 John Thompson references me in one of this TWIE posts and claims that I don’t know contract law and claims that I am only targeting teachers unions over political issues. Thompson claims that I’m singling out teachers unions. 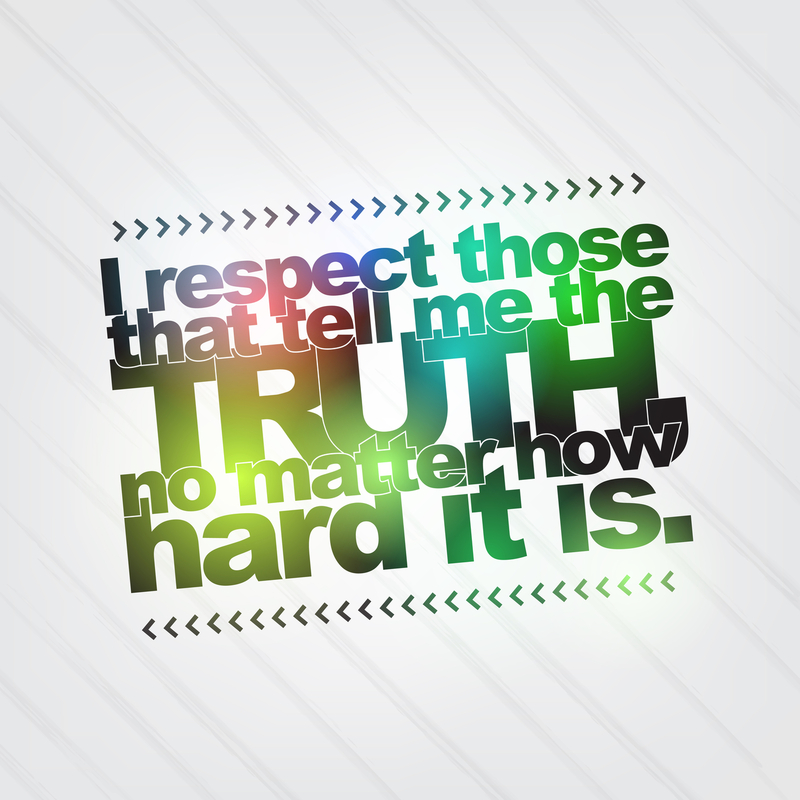 Maybe right now, but only because I haven’t had reason yet to analyze the others. Here is the beginnings of evaluation of fire services in RI, my home state, where there appears to be gross overages of equipment and personnel along with up side down pension liabilities. The Union may secure authorization of payroll deductions for Union dues. Such authorization may be receivable as provided by law. The Union may also secure authorization of payroll deductions for a union COPE (Committee on Political Education) fund. In both instances, the Committee will request the Treasurer of the City of Lawrence to submit such sums in total to the Union Treasurer. As a condition of employment, members of the bargaining unit who are not members in good standing of the Lawrence Teachers’ Union, shall pay to the Lawrence Teachers’ Union an agency service fee equal to the amount required to become a member and remain a member in good standing in the Union. Such fee shall be considered commensurate with the cost of collective bargaining and contract administration. 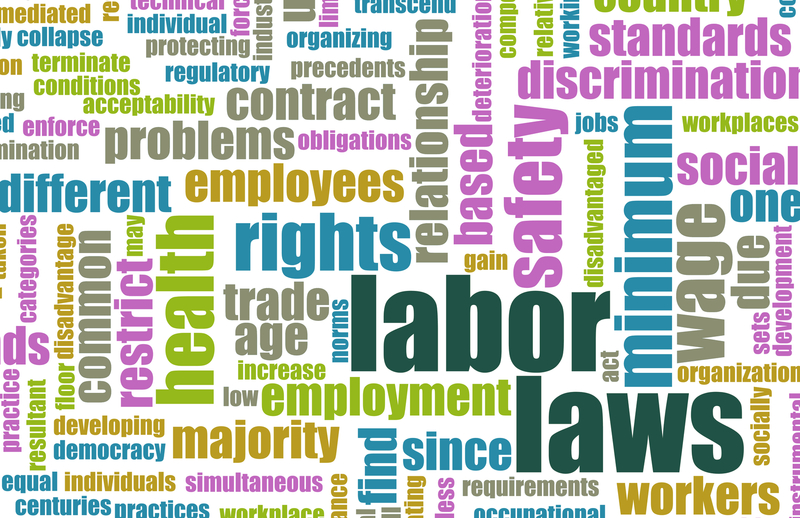 This provision is subject to any rules and regulations of the Massachusetts Department of Labor Relations. The Committee will request the Treasurer of the City of Lawrence to submit such sums in total to the union treasurer? Sure, there is accounting going on to count it towards each teacher, but it just looks so much like tax payers are quite literally paying the union to negotiate for the teachers. From the perspective of perception, teacher’s aren’t paying these dues. But they should be – voluntarily. Thanks to Peter Cunningham for sharing this Education Week article with me about progress in Lawrence, MA, especially since I remember hearing about the beginning of the state take over when I worked with STAND MA and it’s hard to keep up with news all over the country these days. He points out that it’s a good example of district administration and unions working together so I had to take a look. Strong district leader – Mr. Jeffrey Riley, a former principal and former chief innovation officer in the Boston public schools, as Lawrence district’s receiver. A very important ingredient is that the turnaround team approached the takeover with a “strong dose” of respect for the adults in the system. Expanded learning time – Schools added between 200-300 hours annually, allowing time for enrichment programs and interventions. Teachers got collaborative planning and professional-development time. Partnerships – The district partnered with charter-management organizations and the Lawrence teachers’ union to run schools. It worked with Boston-based Match Education to provide math tutoring to high school students. “Mr. Riley has championed a governance model he calls “open architecture,” in which the district consists of a combination of charter-run schools and regular district schools. There is expanded autonomy at the school level and the central office’s role is curtailed. “The problems in urban education are far too big for the civil war that’s going on out there today,” Mr. Riley said about the debate over charter versus district-run schools. “We’ve created a small community where people have been willing to put aside their differences, work under this unified umbrella, and get results for kids,” he said. Data – Boston-based Achievement Network (ANet) has trained teachers and principals to analyze data to measure student progress and improve instruction. School autonomy and accountability – Successful principals got more authority over calendars, interim assessments, and staffing. Includes the charters, union run and traditional public schools. An emphasis on creating and supporting strong school leaders; attracting and developing effective teachers; aligning resources to student and teacher needs; and providing both the funding and flexibility to school leaders to design programs that meet their school’s unique needs. Staffing – A new contract with the teachers’ union created career ladders for teachers and provided opportunities to earn more money based on proficiency, performance, and leadership roles. About 50 percent of principals, 20 percent of assistant principals, and 10 percent of teachers were replaced. The contract approved a year later created career ladders for teachers and gave them opportunities to earn more money based on their performance and the leadership roles they embraced in their schools. And Mr. Riley insisted that all teachers, including those in charter-run schools, be members of the local union, an affiliate of the American Federation of Teachers. Increasing parental engagement—the district recently opened a resource center at one of the city’s old mills, where parents can get help finding jobs and housing—is also part of the turnaround strategy. Funding might really be the interesting area or question for the future. In a report by Education Resource Systems they make a point that while cutting administrative costs, state funding has remained the same and many of the new reforms were funded by grants that will end. The question is will the district be able to maintain these new programs once the grants end? Will the state realize the importance of these programs and provide more funding? LPS received substantial transition funding during the first three years of receivership. The highest level of funding was received in SY 2013–14, including more than $3 million in School Redesign Grants and more than $2 million in Massachusetts Race to the Top funds. Also in 2013–14, the district reduced central office expenses by $1.6 million and provided that funding directly to schools to finance reforms. Although the district has been able to reduce central office non-staff spending in the 2014–15 budget by an additional $5 million to help offset School Redesign Grants and Race to the Top funding as it expires, it is not enough to replace all of the transitional spending. Lawrence has a growing enrollment, which should provide for some increases in state funding over time. However, it will be critical to watch expenses closely to ensure that the funding needed to continue the reforms is available. Reform is scalable. While LPS is a relatively small urban district (only 28 schools) and had the advantage of transitional funding from the state and private funders, even the largest districts can likely make the same kind of changes in a subset of schools. Creating the conditions for rapid change—including the flexibilities, supports, and human capital changes that Lawrence made— in the worst-performing schools in a district build momentum by improving outcomes in those schools. The key is to use that success to pave the way for broadening those changes to other schools by working to change the structures and policies that will enable lasting improvement. 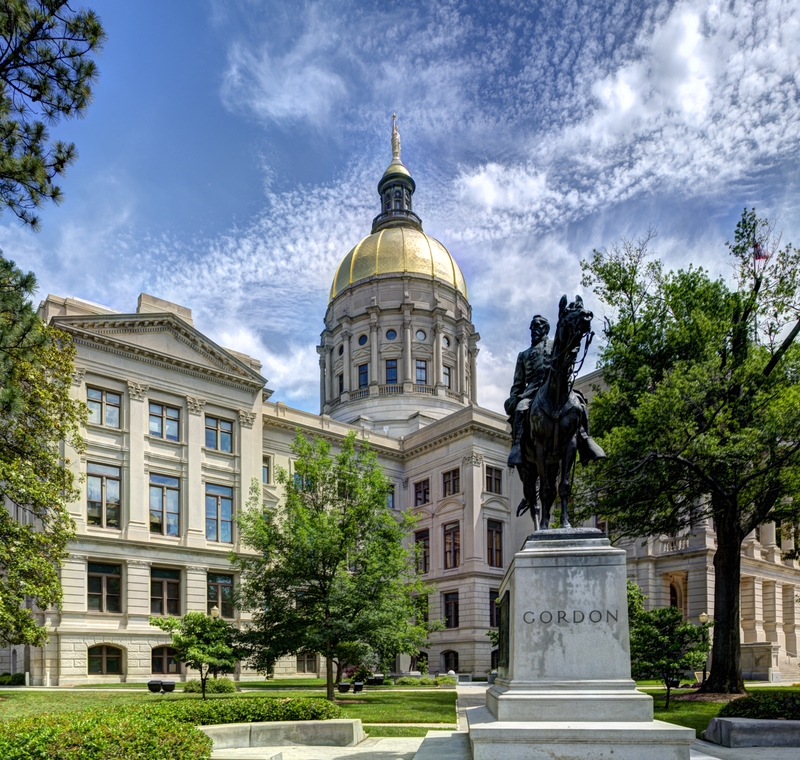 This story encourages me as GA is about to look at state take over of certain schools throughout GA, if the bill is ratified by voters in 2016. Look for my next post analyzing the district/union relationship throughout the state take over in Lawrence.